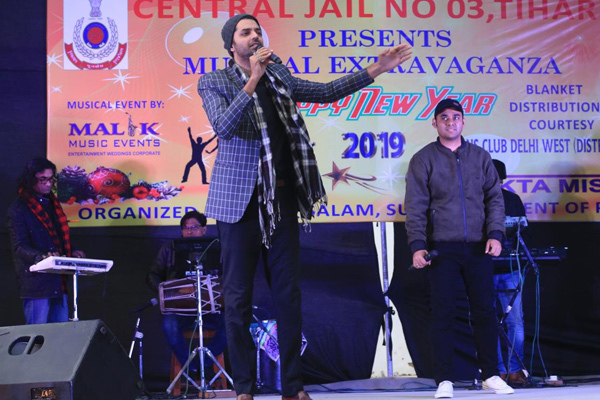 MUMBAI: Singer-actor Jashan Singh says that his recent performance at the Tihar Jail here was one of his best musical events. "It was one of my best musical events. I was already occupied in the last week of December and the first two days of 2019. But last night (Saturday), I enjoyed a lot performing at Tihar Jail," Jashan said in a statement of the event to which the authorities had invited him. The Punjabi singer is known for songs like Ik Yaad Puraani, Maan Na Kari and Zakhmi. He will return to the capital for another performance later this month. He also has a gig in Kuala Lumpur.